Thank you to the below teams which have raised HK$36,000 or above by 18 December 2018 and are eligible to enter a Special Prizes Lucky Draw on 15 Jan 2019. 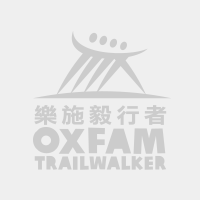 Should teams spot any discrepancies, please inform us (email: otwinfo@oxfam.org.hk, Tel: 2520 2525 ) no later than 15 Jan 2019 by 12 noon (Hong Kong time). Great thanks! Asia Miles, the Logistics Sponsor, has donated 1,000,000 Asia Miles which will be awarded to 10 teams (100,000 Asia Miles per team or 25,000 Asia Miles per team member). Dah Chong Hong Holdings has donated DCH Food Mart coupons valued at HK$40,000. These coupons will be awarded to 10 teams (coupons valued at HK$4,000 per team). Any team which has raised HK$36,000 or above by 18 December, 2018 is eligible to enter a lucky draw to win the above prizes. The awarded prize will be evenly shared by the four registered members of each winning team. The right to enter the lucky draw will be forfeited if the team cannot submit all proofs of donations to Oxfam on or before 18 December, 2018 (dated according to the postmark). Teams that submit the sponsorship they have raised and / or proof of their donations late (i.e. after 18 December 2018) will not be considered for the lucky draw. The lucky draw result will be announcement in our website by 9:00pm on 15 Jan 2019 and the lucky teams will be informed respectively.